Jerusalem's Hebrew University is marking 40 years since Prof. Jacob Bekenstein published his groundbreaking paper on black hole entropy. Jerusalem's Hebrew University is marking 40 years since the publication of Prof. Jacob Bekenstein's groundbreaking paper on black hole entropy, proposals about black holes, entropy and thermodynamics that were originally contested by renowned physicist Stephen Hawking. The world-famous physicist later admitted, however, that Bekenstein was correct, and further affirmed the Israeli scientist's ideas, with his own famous proposal for the existence of Hawking radiation. According to NASA, a black hole is a place in space where gravity pulls so much that even light can not get out. The gravity is so strong because matter has been squeezed into a tiny space. This can happen, for example, when a star is dying. Because no light can get out, people can't see black holes. They are invisible. Space telescopes with special tools can help find black holes. Entropy is a measure of how energy is distributed in a system; in thermodynamics, it is used in connection with the distribution of heat energy and the process by which it flows from one place to another. The Hebrew University of Jerusalem is celebrating Bekenstein's groundbreaking paper as scientists do -- by holding an international conference this week of top theoretical physicists, entitled "Forty Years of Black Hole Thermodynamics." 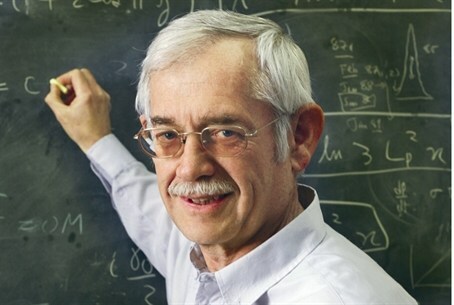 Bekenstein, who is the Polak Professor of Theoretical Physics at HUJ's Racah Institute, received the Wolf Prize this year for his work. The professor has also won the Israel Prize and the Rothschild Prize. “The achievements of Jacob Bekenstein bring honor to the Hebrew University and to Israel, and give Israeli researchers inspiration to continue their work in the field,” said conference chair Professor Barak Kol. All lectures at the conference, which began Monday and runs through September 7, are taking place at the Feldman Building on the Edmond J. Safra campus in Jerusalem.